Hey all, I’m back with some more Christmas decor! 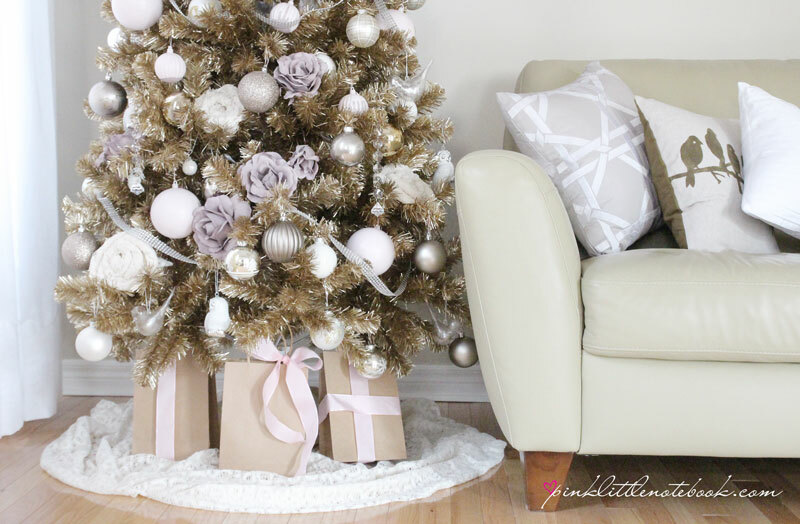 Last week, I put up my champagne Christmas tree, styling it with lavender roses, pink ornaments and lace. I attempted to create something elegant which mixes all the styles I love—a tad of French country, a little vintage flare and of course, a touch of modern. Unexpected?! Most certainly! 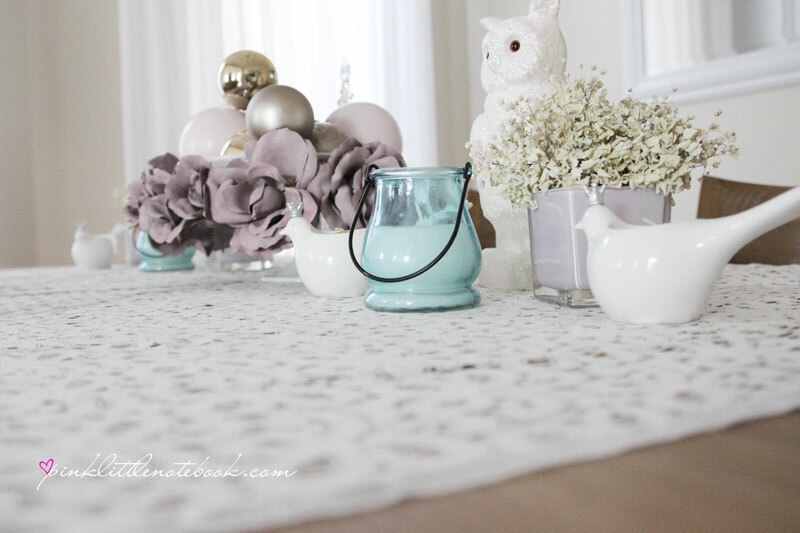 This week it’s all about sprucing up my dinning room table. For a collective look, without being to matchy-matchy, I incorporated some of the same elements from my tree to my tablescape. Take a look! I’m crazy for Christmas owls! I found these little guys at Home Sense last year. They are covered in pink and blue sparkles. To add contrast to the table, I threw in a pop of blue with my candles! 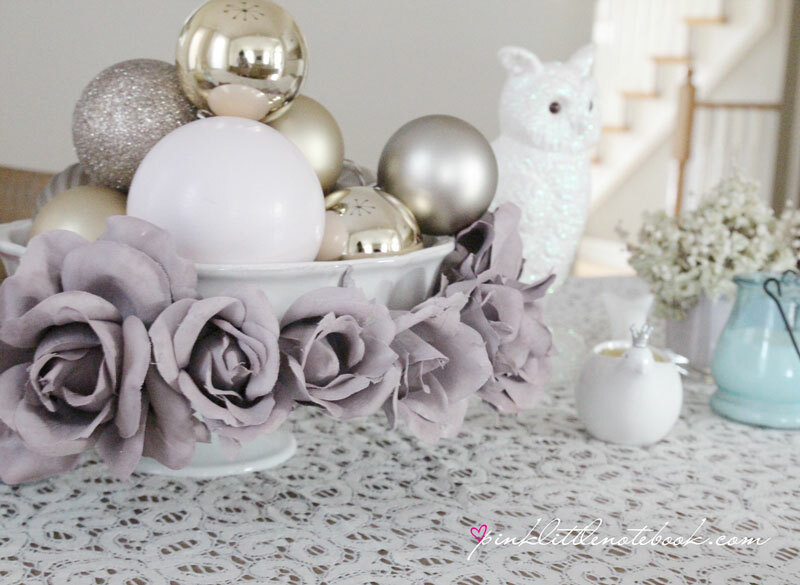 To create height, I placed a bowl on top of a cake stand and stacked my pink and gold ornaments in it. It’s a simple yet effective way to add presence to a table. I surrounded the bowl with my painted lavender roses. Don’t forget about your chairs! 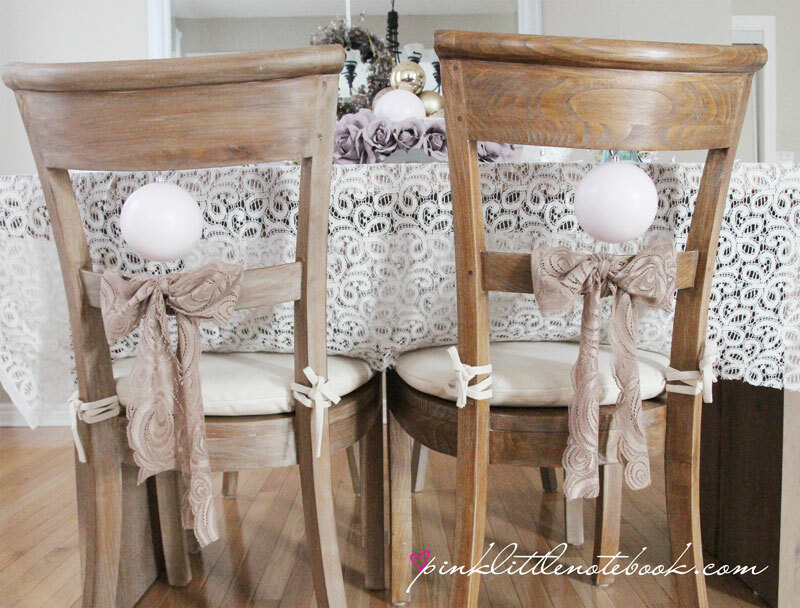 I added some pizzazz with a simple lace bow and pink ornament. 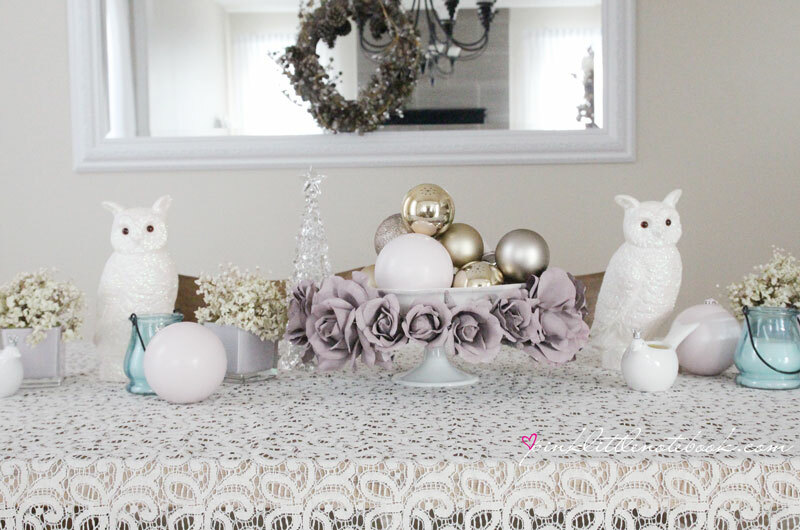 I created a table overlay using the last piece of lace fabric I had. 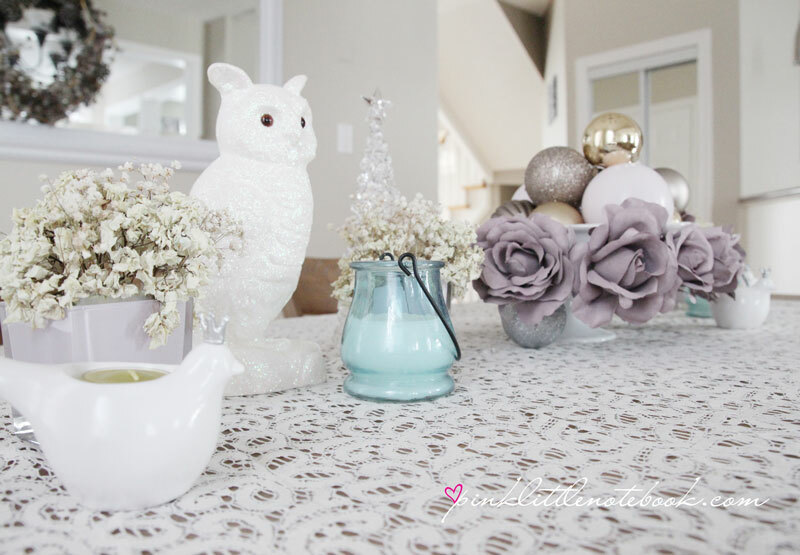 This is the same lace I used to make my fabric flowers, skirt and tree topper for my Christmas tree. There are so many fun ways to decorate your house. What are you doing this holiday season? Share your photos with me via Twitter! I will post my top 10 next week!